Take a break from it all with this five day journey to the incredible town of Playa del Carmen, Mexico. It’s about time we OvRride Mexico!!! We’re teaming up with our friends at Sourced Adventures to bring you the whole shabang! 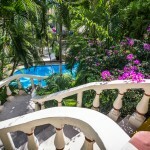 When you go to Mexico, you’re going to want to do it right, so let us hook you up! We’ve got it all sorted right down to local Sourced Adventures guide on hand to ensure you get the proper treatment. You’re first margarita will be waiting when you arrive, check into your room at Hotel Aventura Mexicana (Playa’s most renowned boutique hotel), then IT’S ON!!! 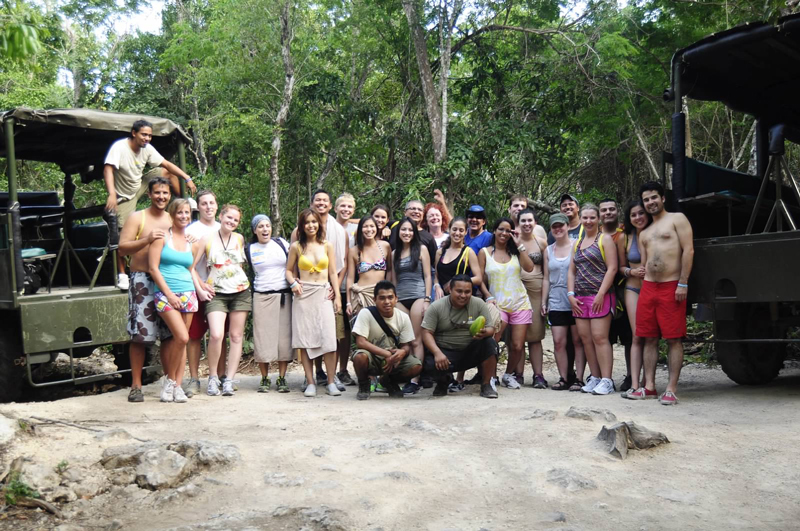 The next morning you’ll be off with Alltournative on a guided excursion to Tulum & The Jungle Maya. Explore Mayan ruins, swim in underground caves (‘cenotes’), zipline through the canopy, enjoy a traditional Mayan lunch and take a 4×4 through the jungle. Tulum is an archaeological site by the sea, occupied around 1200 AD. 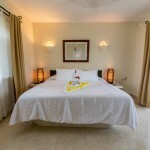 It’s set on a cliff, giving you stunning views of the Caribbean. 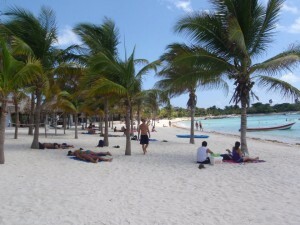 National Geographic declared Tulum the 4th best beach in the world. After hanging here, you’re probably going declare it number 1! If you’re down, enter into the amazing Sac-Actun cenote system, the world longest underground river. Snorkel in the Nohoch Nah Chiich cavern, surrounded by awesome rock formations and millenary stalactites and stalagmites. Ride through the exuberant rain forest on all-terrain Mercedes Benz Unimogs. Rappel into a beautiful cenote and swim in Yaxmuul, a unique natural pool. Enjoy nature and fly over the jungle’s foliage on exciting zip-lines. Discover a mystic cenote where you will participate in a traditional Maya purification ceremony. 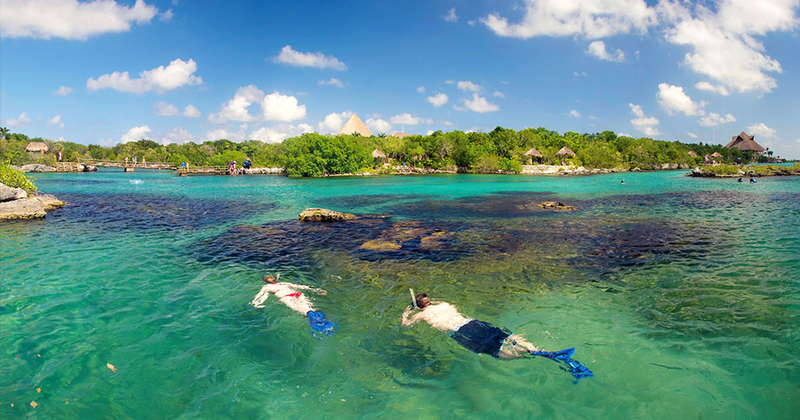 After an action packed day one, head to Xel-Ha for some rest and relaxation. Swim with dolphins, float down the lazy river, cliff jump, or hang on the beach… all while enjoying an all you can eat/drink package at this natural aquarium paradise. Regarded as one of the world’s greatest natural wonders, Xel-Há provides one of the best experiences in the heart of the Riviera Maya. 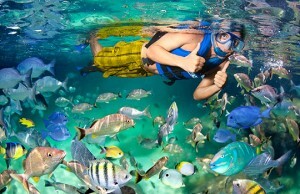 Practice snorkeling and see hundreds of colorful fish and a great diversity of marine species that inhabit its Cove and its cenotes. At this All Inclusive Xel-Há Park you can enjoy water activities, ecological attractions, restaurants and the best scenery to admire while you relax in a hammock or walk around the corners of Xel-Há. Come and immerse yourself in one of the cenotes, lakes and caves, or enjoy the aquatic zip-lines you’ll only find at Xel-Há. 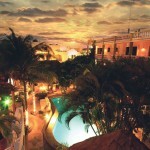 This top ranked area hotel & restaurant is located just 1/2 block from Playa’s famous 5th Avenue & 2 blocks from the beach! 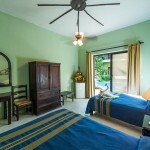 Relax in the lush courtyards & gardens with 2 swimming pools & 3 sun decks. Need to keep in touch with the world? Well, we don’t recommend it, but need be there’s free wifi throughout the grounds. The onsite Mayan Bistro restaurant serves breakfast, lunch & dinner … Grab the VIP add-on package for all you can eat and drink . Day Five – Checkout and start planning your next trip back! 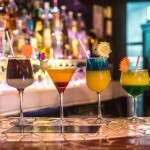 This entry was posted in Caribbean, Events, International, Mexico, News, Summertime, The Beach, Trips. Bookmark the permalink.